Welcome to Baileys Harbor in Door County. We offer a diversity of accommodations for all price ranges and tastes, including a wide array of activities. 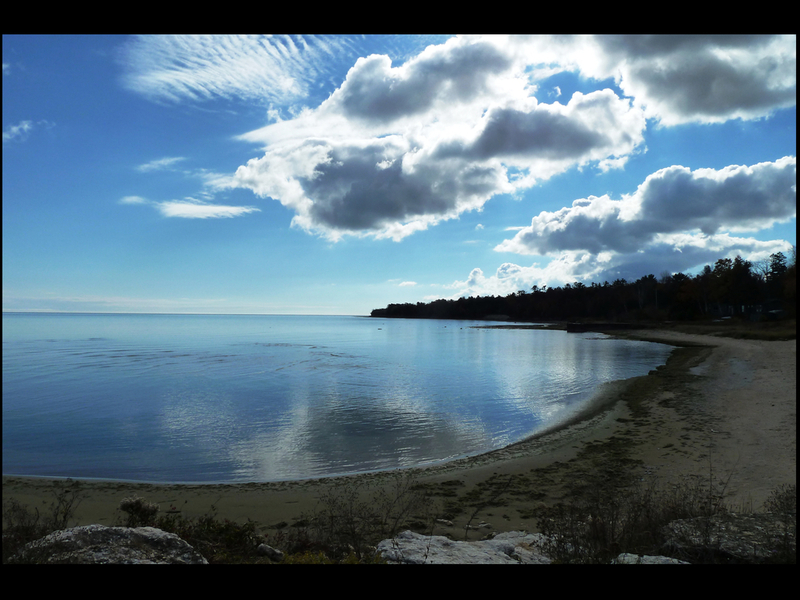 From relaxing on the beach with a good book to biking for miles along serene country roads, you will find something to do in Baileys Harbor during your next Door County vacation! Our wonderful restaurants also have something for everyone. Whether you favor haute cuisine or a juicy cheeseburger, you will find something to your liking and pocketbook. If shopping is your favorite entertainment, you will be thrilled by our amazing stores that cater to unique products that you will not find anywhere else. We are only a short distance to other famous Door County attractions such as Peninsula State Park, the Drive-in theatre, Cana Island Lighthouse, and Washington Island. We encourage you to use us as your base to visit other communities, coastal attractions and nature based attractions in the Door County area. Baileys Harbor will make you believe you are worlds away from the hustle and bustle of the Mid-West. Whether you choose to be one of our summer guests, visit during the gorgeous fall foliage or spectacular winter wonderland, your vacation is our number one priority and we will do everything possible to make sure it is one you will always remember! Cana Island Light is Door County's most painted and photographed lighthouse, and is a must see for your weekend lighthouse excursion. The station was established in 1870, and it is still operational with the original Third Order Fresnel lens. The 81 foot tower is constructed of steel, which was wrapped around the original brick in 1902. The attached keeper's house is of the same cream-colored Milwaukee brick that is used in other Door County lights. The cast iron lantern at the top of the tower has two levels--a watch room at the top of the tower with the lantern room above containing the lighthouse's lens. All the lighthouses are in close proximity, and there are many bed and breakfasts. Surrounded by thousands of acres of wilderness and wetlands, much of it preserved as part of the Bjorklunden, Toft's Point and Mud Lake Wildlife Area, Baileys Harbor also offers birding and hiking at their best at the Ridges Sanctuary, a privately-held wildflower preserve that includes the Baileys Harbor Rangelight and Lighthouse and a beautiful sand beach that's open to the public. This 1,000 acre Sanctuary contains sandy ridges, wooded bogs, and a complex of rare wildflowers, wildlife, and birds in their natural habitats. Self-guided tours on an extensive walking trail and boardwalk system are available to the public for a small donation fee. Wildflowers bloom in the ridges from late April to mid October. A nature center with displays, information, and a nature store is open to the public during the flowering season. Shipwreck sites in Wisconsin’s Great Lakes attract divers from around the world. The steamer Frank O’Connor, one of the largest wooden ships ever built, met its fate in the form of a fire from a discarded match in 1919; it is now 65 feet underwater about 2.6 miles north-northeast of Cana Island. Three schooners – the A.P. Nichols, the Forest and the J.E. Gilmore – lie in a heap 15 to 40 feet down near the cement dock on Pilot Island in Door County, at the infamous Death's Door passage. Baileys Harbor (WI) real estate OR "homes for sale"
Baileys Harbor AND WI AND "real estate"
Baileys Harbor, WI Area properties AND "for sale"
Baileys Harbor OR “Door County” AND WI AND "real estate"
Baileys Harbor OR Door AND WI AND "real estate"
”Door County, WI area” AND WI AND "real estate"
Baileys Harbor WI AND "properties for sale"
Baileys Harbor WI AND "new construction"
Baileys Harbor WI AND home AND 55-plus OR retire OR "active adult"
Dave Kaster, Realtor, GRI, CDPE has access to and can help you buy ANY home, lot or condominiumfor sale in Door County, WI. As a member of the Door County Board of Realtors and Door County MLS,. I have at my fingertips access to and information about ALL Luxury real estate listings for sale in Door County, WI. I want to be YOUR Realtor and for you to say " iLoveDoorCounty.com"
Originally from Green Bay, Dave lives in Sister Bay, WI and has been spending his summers in Door County all of his life. He also runs a successful real estate business in Marco Island, FL and Naples, FL and this compliments his Door County business. He has a client base of affluent investors worldwide. Dave Kasterhas over 25 years experience in real estate. He has an extensive background in internet marketing of luxury real estate. Dave is completely "computerized" and cites "I use the latest technology to better serve my clients." He is a member of the National Association of Realtors, Wisconsin Association of Realtors, Door County Board of Realtors, Realtos Association Northeast Wisconsin (Green Bay, WI DKSellsGreenBay.com), Naples Board of Realtors and the Marco Island Area Association of Realtors.